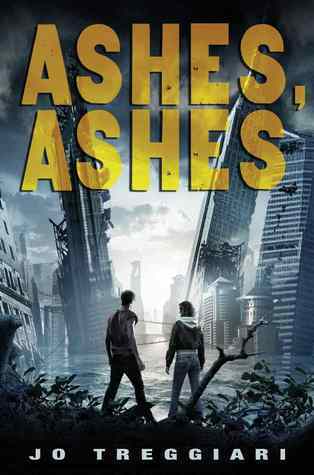 Why I read this: I love post-apocalyptic/dystopian stories, and this one looked really good. Plot: Definitely a fast-moving survival plot, involving natural disasters, the invasion of militant-like Sweepers stealing people whenever they please, and even some budding romance. It all revolves around Lucy, who decides to abandon her seclusive camp of the past few months when hunting dogs find her and a young man saves her and tells her about the group he stays with. She's reluctant, but when a tsunami takes over her camp, she's forced to higher ground and gravitates towards Aidan's camp - Hell's Gate. Characters: I really enjoyed getting to know Lucy. She did what she had to in order to survive. She didn't instantly become super-woman either. Lucy was a nicely balanced character and I loved her interactions with Aidan and Del. My favorite character would have to be Grammalie, a resilient old woman of 80 who ran the Hell's Gate camp and was very wise in her ways. Relatability: I think fans of a more realistic post-apocalypse novel will enjoy this one. Cover Commentary: Pretty cool. Definitely how I'd imagine a big city to look after severe natural disasters and plagues had run through it. I've been reading a few post-apocalyptic/dystopian novels lately and I think this one might be worth looking into. I haven't heard of this one but it sounds really good. Totally going to check this out. Great review! I'll definitely put this one on my list, even though I'm tired of dramatic, dystopian futures. I think the reality will be more like Condie's Matched. Great! I'm glad to hear that you've enjoyed this one. I can't wait to read it myself.